Your local Brazilian Jiu Jitsu School in the Ryde area! Gracie Barra is a Brazilian Jiu-Jitsu Association, with over 700 schools on six continents. The organisation was founded by Carlos Gracie Jr., who grew up heavily influenced by his family, especially his father Carlos Gracie Sr. and his brother Rolls Gracie. While working as Roll's assistant instructor, Rolls suddenly died and Carlos was asked to assume the head instructor role. As one of the latest count from the organisation, they have graduated more than 600 black belts around the world. All Gracie Barra Schools follow a teaching curriculum designed by Carlos Gracie Jr himself. Gracie Barra Programs are structured logically to keep students motivated to learn, practice and perform to the best of their abilities. 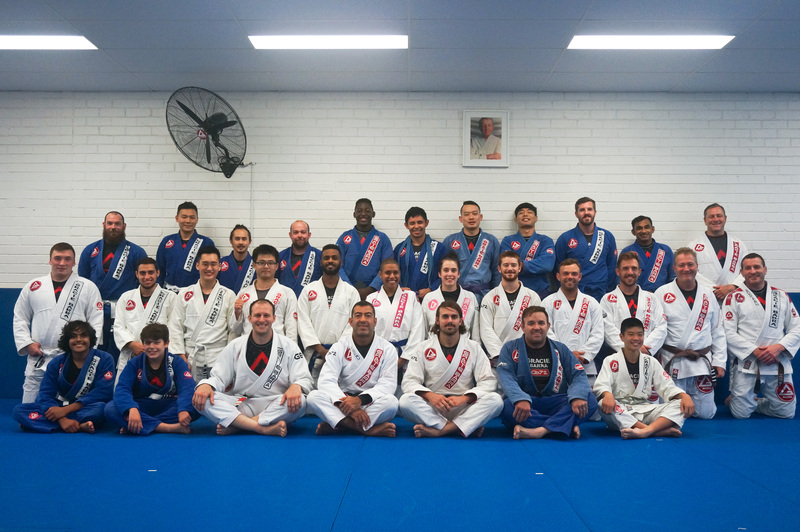 Gracie Barra West Ryde was inaugurated in 2013 and is led by Black Belt Secound Degree Julio Guerra.